A newly constructed Detached Bungalow, situated within this popular and established residential location in North Hykeham. The internal living accommodation briefly comprises of; Open-Plan Living and Fitted Kitchen Area, Two Bedrooms and a Shower Room. Outside there is a block-paved driveway providing off-road parking and a lawned rear garden with patio area. The property further benefits from uPVC Double Glazing and Gas Central Heating. Viewing of the property is highly recommended and is being sold with NO ONWARD CHAIN. LOCATION The property is well-located within this popular and established residential area within North Hykeham, which is located south west of Lincoln. The property is close to a wide range of amenities, including schooling of all grades, Doctor’s Surgery, The Forum Shopping Centre, ASDA Superstore, LIDL Superstore, Public Houses and Train Station. There is easy access to the A46 Bypass, which in turn gives access to the A1 and the Main Line Train Station at Newark. 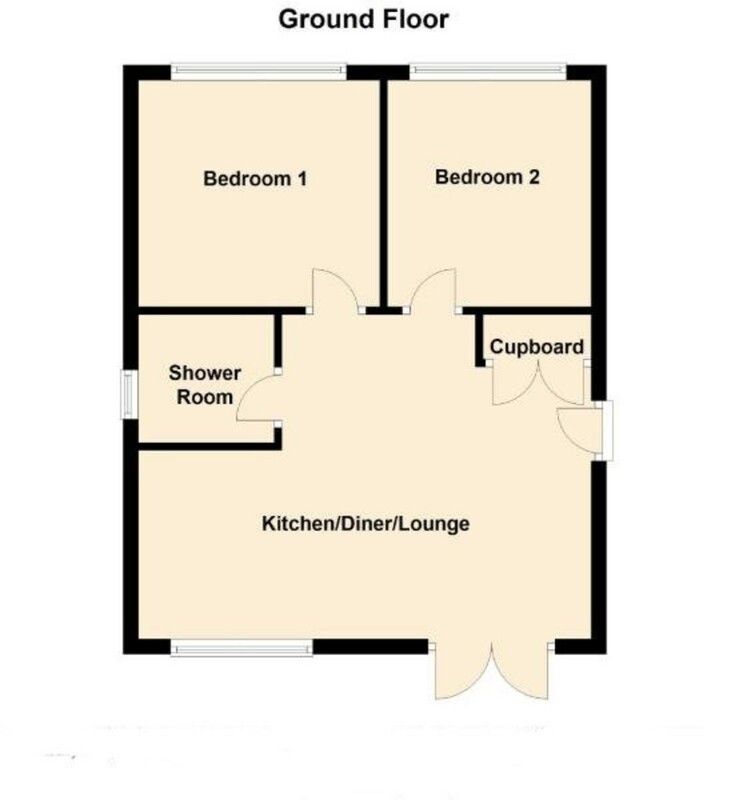 LIVING AREA With uPVC French/Patio doors to the rear garden, wall mounted radiator, TV and telephone points, built-in storage cupboard housing Ideal Gas Central Heating Boiler and uPVC side entrance door. KITCHEN AREA With a range of quality base and wall units, fitted Lamona oven and induction hob, extractor hood, integral fridge freezer, under-unit lighting, inset spotlights, sink unit and drainer, integral fridge freezer, plumbing for washing machine and uPVC window to the front elevation. SHOWER ROOM With uPVC window to side elevation, suite to comprise of; fitted shower cubicle, WC, wash hand basin and vanity unit, inset spotlights and towel radiator. BEDROOM 1 10′ 5" x 9′ 10" (3.176m x 3.003m) With uPVC window to the front elevation, radiator and TV point. BEDROOM 2 9′ 10" x 8′ 9" (3.007m x 2.670m) With uPVC window to front elevation and radiator. OUTSIDE To the front of the property, there is a block-paved driveway providing off-road parking and side access leading to the rear garden with lawned and patio area.